Over the last few weeks it has been miserable, cold and wet so has been hard to get out and walk the dog and like most females she doesn’t like going out in the rain incase her hair gets wet. Sunday had been dry so we jumped in the car early afternoon and drove to Elmdon park so Carly could have a run around and burn off some steam. 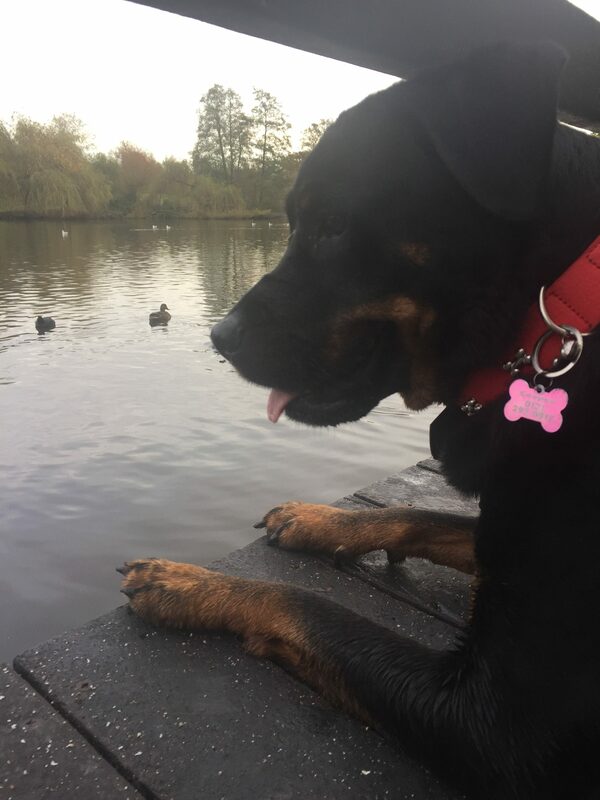 She was transfixed by all the ducks and birds in the pond and wouldn’t move away and kept trying to jump in with them. The housing market is getting tougher. This is bad news for a lot of people hoping to buy their first home. They might just have to wait for longer. If you have property you’re not using, however, it can be great for you. Now is a better time than ever for people to rent out accommodation. Which means real potential income for you. So, how do you make sure you’re ready to start taking on tenants? Becoming a landlord isn’t as simple as taking cash for getting people in your property. You have a lot of responsibilities to take care of before you let anyone in. From safety issues like gas and electricity to deposit schemes and rent agreements. Getting legal advice on your side is an extra cost, but it’s one that can protect you from a lot of hassle down the line. For a more profitable rental home, you might be keen to make some changes. For instance, spare rooms can very easily be made into bedrooms with a bit of work. Similarly, you can install a second bathroom or give one a much-needed renovation. You don’t even have to put a lot of work in, yourself. You can just as easily use options like pre-made PRS bathroom pods. One mistake you should avoid above all else is trying to get tenants in before those changes are made. Too many landlords get overeager and end up scaring tenants away when work isn’t completed quick enough. How you actually deal with those tenants is a matter of opinion. Some people like to get in there and make sure everything is alright at every chance. Better landlords handle things from a distance. They assume everything is alright until the tenants say so. They certainly don’t collect rent by hand. You don’t know whether a tenant might be stressed, angry or desperate. It’s not a good idea to show up demanding cash. That’s not to assume that tenants are going to cause problems, but it’s prudent to expect it at some point. Keeping your distance doesn’t mean turning a blind eye, of course. If you’re concerned about damage to your property, make sure the contract covers it financially. Many will disallow pets (or even certain kinds like cats) to make sure too much damage isn’t done. To make sure that the very worst kind of damage doesn’t happen, it’s best to be thorough in your choices. Reference agencies like TenantVerify can help you select those who are most likely to treat your property with respect. Otherwise, it can be hard to chase tenants down who don’t want to pay for repairs and the like. The landlord needs to be a presence, but not ever present. You’re there to improve and protect your investment, not to get into the daily lives of your tenants. What’s most important is making sure you’re always the one on the right side of the law. It can get tricky, so don’t try operate any deals outside it. What do you credit for your home being a wonderful place to live? For me, it’s the new tech that I purchase and invest in every year. Say what you will about technology, but it’s certainly making home life easier. If you want proof of this, just look around your own house, the evidence is there. Here are some of the best pieces of tech and equipment in my home that I just couldn’t live without. I love waking up in the morning and immediately being able to pick my phone up and blast some tunes through a nearby speaker. It doesn’t even have to be in the same room. As long as it’s close enough to pick up the connection from my phone, it works. It’s a great way to wake up and give yourself some extra energy. Of course, that’s not the only benefit you get from Bluetooth speakers. I also love the fact that I can have a complete surround sound setup without any wires. In the past, if you wanted your home to feel like the movies, you needed a maze of different wires running around the room. Now there’s no need because everything is connected digitally. Anyone with kids or a small kitchen should love this little advancement in tech. I think slide away oven doors have only been on the market for a few years. Though I’m sure, restaurants have had them for decades. If you don’t have one, you need to look for an oven like this on the market right now. Since the oven door slides away out of sight, it allows you to put your hand in without the worry of getting burned. It also makes cooking simple in a cramped kitchen. The secret behind this tech is the heavy duty drawer slides. They allow the oven door to be moved in this way and it’s just amazing. A lot of people scoffed at the idea of smart tech. I know, I was one of them! But there’s no doubt that after some adjustments it’s made home life better. Admit it, you love the fact that you can now check what’s in your fridge while you’re out. Or how about being able to turn the kettle on when you’re still getting out of bed? It’s not debatable whether smart tech has made us lazier, it definitely has. But that doesn’t change the fact that it’s incredibly useful. Finally, I’m sure there are a lot of parents that breathe a sigh of relief thanks to new tech security. After all, it’s reassuring to know that state of the art tech is between your kids and intruders. There are plenty of options to choose from here. I personally favour the idea of getting CCTV cameras for the home. You have to be careful where you point them, but once you have these setup burglars won’t even think about a break-in. See what I mean? Tech is fantastic and has given us the real homes of the future. I do actually really enjoy and like cooking but the thing I struggle with is finding things that are quick and easy for when I get home from work to cook especially now things that are warm and wholesome with fast approaching winter. Seal the beef in a frying pan or you can put it straight in the slow cooker to cook. 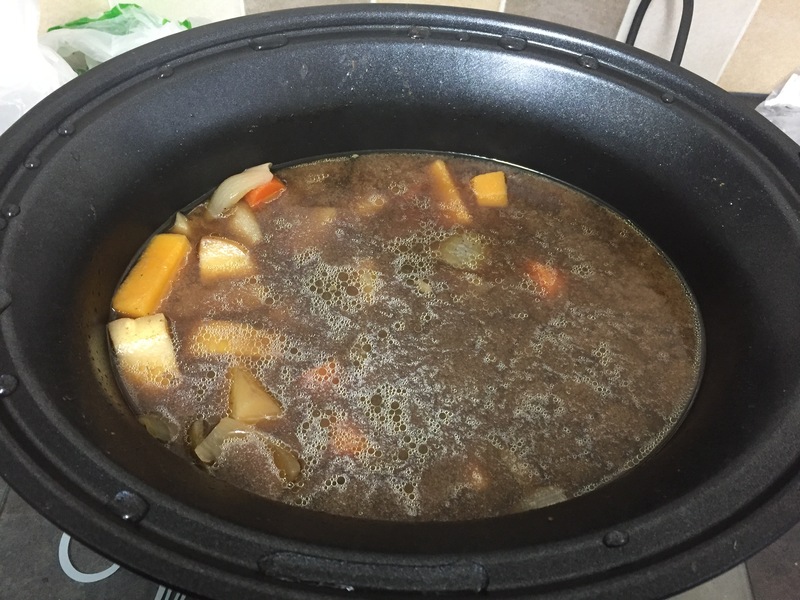 Cut and peel all the root vegetables in the small chunks and add them in the slow cooker, add all your mixed herbs and thyme and then finally mix your beef stock cubes with boiling water and add to your meat and vegetables. In total to make this meal it cost me under £10. If you are looking for a delicious and under budget meal that you can make in bulk and freeze, this would be perfect. * I received £20 aldi vouchers to create this meal for the purpose of this review. Living in a house should be an exciting and a safe haven for everyone but unfortunately with homes been burgled every 40 seconds within the UK and those people not caring for others feelings we have to put measures in place to make our homes safe. I can only imagine how terrifying it must be to be burgled and to have your own private space invaded and for people to take things that you have worked so hard for over the years. Well the sad fact is it happens and people don’t care. An alarm system is a good preventative measure to reduce the risks of burgulerys and breaks in. These are great security deterrants as burgulars don’t like well lit up areas, they like to be hidden. This adds an extra section of security to your property another door to have to try and get through. Add extra locks on all doors where possible, front doors, back doors and windows. We added these locks on our back door because it such a large door to add extra protection.. Even if you don’t have a dog, pick up some signs and stick them in your windows, to try and discourage break in’s to your house. No one is going to know you don’t have a great big scary noisy guard dog behind your front door. With the nights closing in, your home become more vunerable earlier in the day anytime from 4pm onwards. So get yourself a little lamp and put a timer switch on it so it looks like your home. Panasonic Security cameras can help you keep a close eye on your home, wherever you may be in the world. With it’s compact water-proof design, built-in visuals, infra-red sensors and selectable area detection that sends alerts to your smartphone or tablet as soon as it spots something unusual. What are your top tips for keeping your home safe from intruders? THE GAME OF 1000 SILLY FACES! 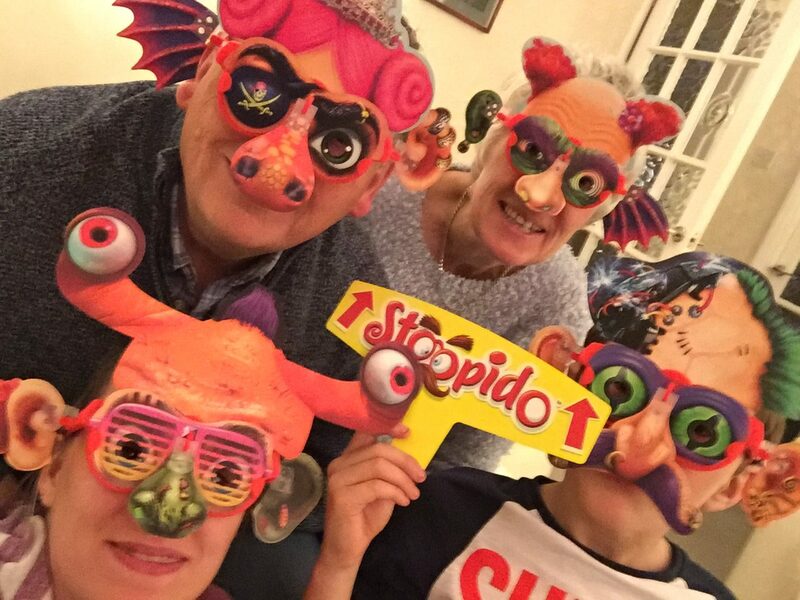 This stoopido game is a new wacky and downright silly game where u will laugh for ages watching people change appearances in the short space of time. As from a previous post we love games in our house they bring us together to enjoy quality “Family time” and definitely plenty of laughter. Before you start you will need to carefully press out all the pieces out of the cardboard and attached the specific clips to the nose and ear pieces so that they will fix to the glasses later. The youngest player starts and then moves usually clockwise but you can choose whichever way you want. 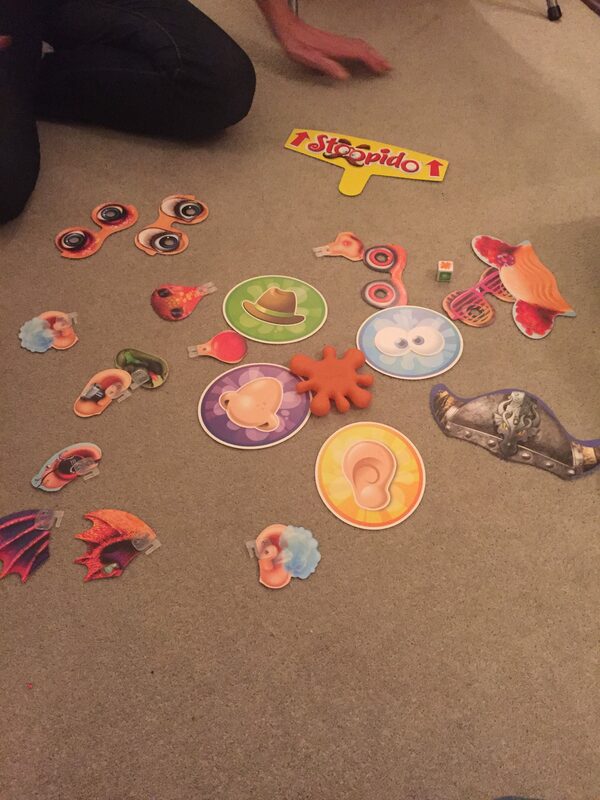 The aim of the game is the opposite to what you think as it’s the last player to NOT have a full face covered with quirky colourful mismatched features. It is great fun for all the family and I can certainly tell you we had lots of fun playing with it. rrp £17.99, for ages 8 to 100! 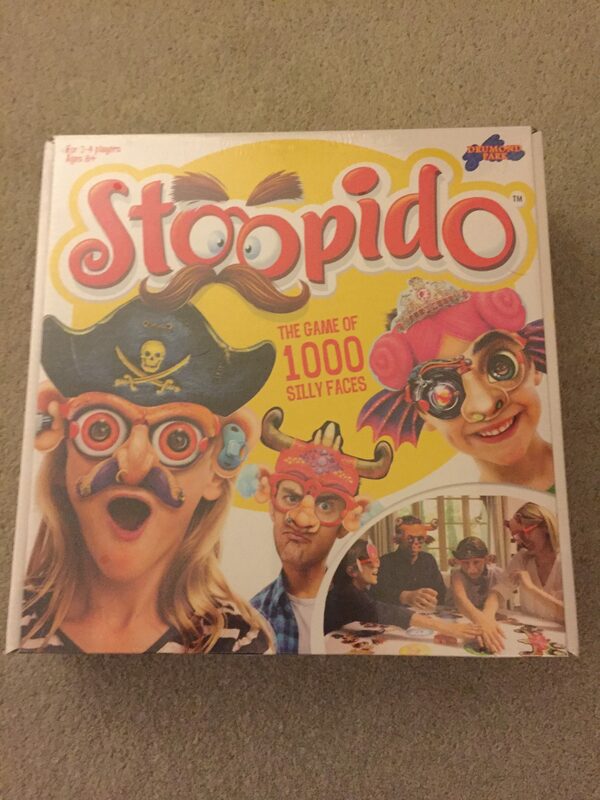 How would you now like a chance to win your own one of these fun filled quirky games for Christmas? Drummond Park is giving the opportunity of one of my readers to WIN this game worth £17.99 and just in time for christmas. Good luck and enter below via Rafflecopter. The closing date is Monday 5th December at midnight. 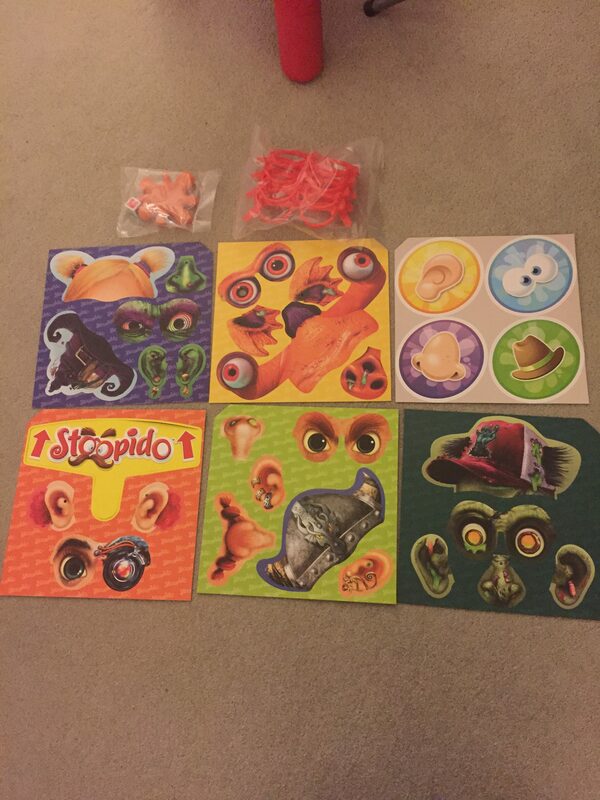 There is one prize of the Stoopido game. No cash alternative. Entrants must log in via Rafflecopter and answer the question in the widget – this is the ONLY mandatory task. Comments must answer the question. Comments such as ‘great prize, fantastic giveaway’ etc will not be counted. You can gain extra entries in the draw by completing the other tasks in the widget. All entries will be verified. Unless you are a blogger or website owner, please leave the URL box blank. Anything else in there (such as email addresses, none, Facebook, x, N/A will invalidate all of your entries). The winner will be notified via email within 5 days of the closing date, and must respond within 28 days to claim their prize. I will forward your details on to the client who will send the prize out directly. * I was sent this game free of charge for the purpose of this review, however all thoughts and opinions are my own. Gifts and present ideas for those who have everything! So it’s coming to that time of year when we all start thinking what we can get them special people in our lives for Christmas. We spend hours scouring online and trawl through high street shops hoping we will come across that present they don’t already have. I myself, know how difficult it is to think of that one thing for that one person who is always difficult to buy for, E.G, The Fiance. As we always buy little presents throughout the year for each other, or buy everything we want or need, it can be much easier to stick to more light hearted present or unusually gifts. I have had a browse online and found some very interesting and different gift ideas. I think most people have a soft spot for old Campervans, and we all love toast right? Well this Campervan Toaster would be ideal for that new homeowner friend, or just enthuisiast. I love gardening, and so does my mum, but we struggle to get out to fulfill our green finger habits when living in the UK. This indoor allotment would be the perfect gift for that gardener. Majority of the population now have smart phones. We are hooked on them! We use them for social media, music, films and sometimes to call and text people. With the size of phone screens, it’s not always ideal to try and watch a two hour movie, so this smart phone projector is not only a cool gadget, but also makes watching films much more enjoyable. Presents don’t always need to be spurious, why not get something they will actually need. These stylish safety trainer are a cut above the rest. Whether being safety trainers, or work trousers, why not get them something they will use daily! We all have that one friend or relative that will always put their puppies first! Like us! This comedy gift will keep everyone amused for ages, maybe not the dog though. When not taking pictures of our culenary creations, we are actually eating them! Although Instagram may not always agree! We can not only show off a fabulous looking appliance, we can also make amazing food! Who wouldn’t love this for Christmas? If all else fails, and you really have no idea what to buy someone, why not also suprise yourself with this mystery gift. With for him and for her packages, you really could leave it to someone else to suprise them! Work is a life necessity. We all need to further our careers and, of course, pay the bills. Although working can be fulfilling and productive, you need to be careful. It can also lead to stress, anxiety and even physical health issues in some cases. Whether you’re spending 40 hours a week in an office or working from home, you need to watch out for your health. There are many simple adjustments you can make to ensure you live a healthier professional life. Here are some questions to ask yourself to ensure your job isn’t impacting your health for the negative. Comfort can be a significant factor in how you feel at work. Being uncomfortable at work can often reduce how productive you are. If you’re sitting uncomfortably for hours every day, you might also develop back problems. This can be even more distracting and painful. The first step to improving your health at work is to get a comfortable office chair. An adjustable chair will help your posture and improve your wellness in many different ways. It’s easy to get one if you work at home. If you work in an office, consider talking to your HR manager about getting one, or even bringing your own in. Getting a good pair of shoes can also help with your comfort at work. You may want to get fitted foot inserts to improve your posture. These are extra helpful if you work on your feet all day, but everyone can benefit from comfortable footwear. You should always maintain a strong work ethic, but overworking yourself isn’t good for anybody. When you’re overworked, you’ll have reduced focus and motivation. It impacts your ability to do your work well. It’s also one of the main causes of stress. If your employer is giving you too much work or making you stay late, it’s a concern worth bringing up. Put across the point that it’s making you feel less productive and enthusiastic. Also, don’t hesitate to use personal days when you need them. Taking a short holiday can refresh your mind and give you renewed motivation. Even those who work at home can fall victim to overworking. In trying to do too many things yourself, you can affect yourself for the worse. Find ways to improve your work-life balance to reduce stress and live a healthier life. Are You Developing Unhealthy Habits At Work? When you’re stressed out at work, you can develop unhealthy habits fast. One of the most common is smoking. Many people get drawn into smoking to try and reduce workplace stress. Don’t let this develop, as it will only have adverse effects in the long run. You might also start eating unhealthy. Many people don’t have the time to prepare meals for lunch and end up eating fast food every workday. Try to make healthy choices if you’re going to eat out. Working full time can also give you less time to keep healthy by working out. You may want to start encouraging yourself to go to the gym on your lunch break. You can also find ways to stay active at work, such as always taking the stairs or cycling to work each day. All of these things can help you keep up healthy habits and even reduce stress while working. Moving house can seem so exciting. It’s easy to get wrapped up in all the joy of thinking how you’ll decorate the new place. Who you will have over, and all the fun memories that you can make. But nobody wants to think about the practical side of moving house. However, it’s better to be prepared, than go into it blind. So to be in top form when you move, read on for some tips. OK, so the first issue with moving is that you have to clean an entire house. Twice. That’s right you have to clean the one you are moving out of. Let’s face it is going to be a little gross when you move the furniture and empty the cupboards. Then you will want to clean the home that you are moving into. If you haven’t got far to move it best to try and do this before moving day or it can all get a bit overwhelming. Also, if you prefer to use environmentally safe cleaning products, it can help to go over the new home with these. Then you are getting rid of some of the residues of all those nasty chemicals that have been used before. Moving home is expensive. There is no getting around that, not only do you have to find the money for any new items to fit especially in your new home. You will also need to pay legal and real estate fees as well. Add boxes for packaging, and all the stuff you need to replace from the old house, and it isn’t so cheap. A good way of managing a moving budget it to set an amount for each stage of the move, and not go over that if at all possible. Yes, it can be tempting to want everything to be perfect straight away, but it’s much more practical to try and get things done bit by bit. 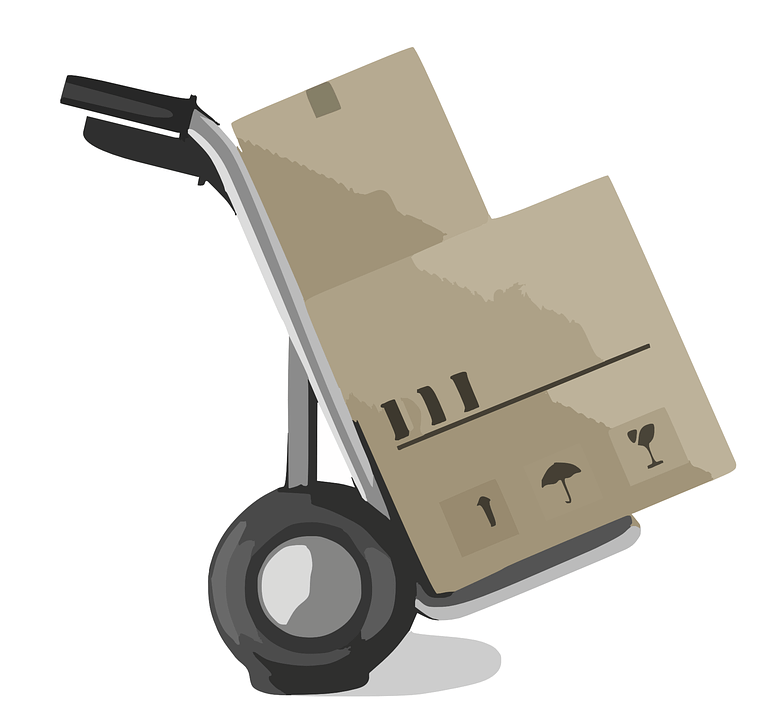 Prioritize the essentials like removalists, who will take on the back-breaking jobs. Leaving you free to concentrate on all the others things that need doing. Ah packing the bane of the homeowner’s life. There are two types of packers in this world. The first is the ‘let do it quick’ type. They shove anything and everything into boxes and get in done in a day. However, when they come to unpack in their new home, it can take significantly longer to get everything sorted out. This is because they are constantly walking from room to room, deciding where every item needs to live. Then there are the ‘military operation packers.’ The guys are organized. The know what is in each box, and where it needs to go in the new house. They rely on sticky labels and charts to be able to know the location of any item when they need it. It takes a good while for them to complete the packing process. But when it comes to the new house it’s run seamlessly. Wouldn’t it be nice to make regular visits to the spa and enjoy lots of pampering and relaxation? Sadly, for most of us, this isn’t a viable option. So how about bringing some of the spa into your home? One of the best rooms in the house to make changes in is the bathroom. Having a spa-like bathroom that you can relax in and while away the hours is a great alternative. These ways are pretty affordable and can be done in practically any bathroom. So what are you waiting for? Bring the sparkle and luxury of a spa to your bathroom! When you go to a spa, the whole atmosphere is tranquil and relaxing. So it can be a little awkward if you are having a bath or a shower and all you can hear is the roadworks on your street. Having some white noise or music playing is a great way to drown out noise that you don’t want to hear. If the lighting in your bathroom isn’t ideal, then think about how you could change it. Installing a dimmer switch might be a good idea so you can create an ambiance. You could also just enjoy the light from candles perhaps. Think about all of your senses and your bathroom will be feeling much more luxurious in no time. It is nice to have lovely products and soaps out on display, especially if you want to recreate the feel of a spa. Don’t just have them lined up or piled high on a shelf. Think about having them in some cute little containers or trays. Choosing a few different styles that work together, is a good way to create a luxury feel. You could add some shelving for towels and have them rolled, rather than folded. Then they can just be ready to grab as and when you need them. Some real, or even artificial flowers could be a good idea too. What spa doesn’t have any? If you have a bit more to be able to spend, then upgrading some of your bathroom units is a good idea. Having a freestanding bath is a really luxurious touch. You could also think about getting a new shower curtain or screen. When you give yourself a barrier from the rest of the house (or room), it can feel more spa-like. After all, a spa has separate little spaces, and it is a place to switch off from everything else. Other things in a bathroom that work could be getting or updating your vanity unit. Bathroom vanities are a really luxurious touch from just having a stand alone sink. It is a great way to be able to display some of your soaps and lotions too, rather than shelving. What else do you think you could do, to make your bathroom more like a spa? I’d be interested to hear what you think.